JJ - Yes indeed! Your fused glass ornaments would definitely fit. You are first on the list! This should be fun. Count me in. 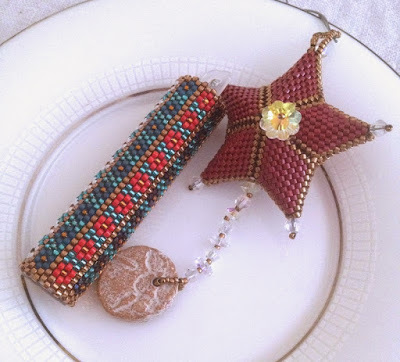 I may even make an ornament that's not all beads! 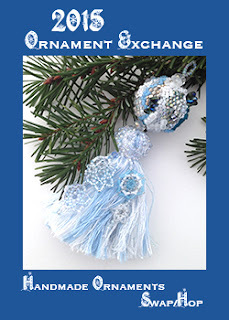 You can make whatever sort of ornament you'd like! :) So glad you've joined in, and I have you on my list. Becky - Thanks for joining my Ornament Exchange! I just sent you a confirmation email. I want to participate but I cannot :-( My life is not my own these days, but it's all for good reasons. I will be checking in to see what everyone made, though! Enjoy!!! Maybe next time then. :) It's good to hear from you!